Bevi would like to redefine the way you enjoy your workplace beverage. If you’re like most of America, you enjoy a soda or other bottled drink at work – you end up recycling hundreds of empty plastic bottles, wasting both space and money. 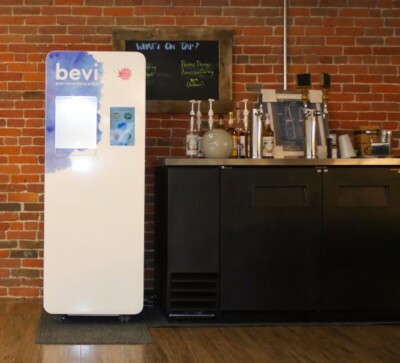 To solve the bottled beverage problem, Bevi has invented a type of water cooler that purifies and dispenses flavored drinks using the municipality’s own water supply. Their proprietary process then combines the purified city water with flavoring and carbonation (if desired) to the end user’s specification. Unlike a vending machine, Bevi’s products do not need to be constantly re-stocked or maintained. Offices across the U.S. have begun to use Bevi as a cost effective and healthy alternative to bottled drinks. 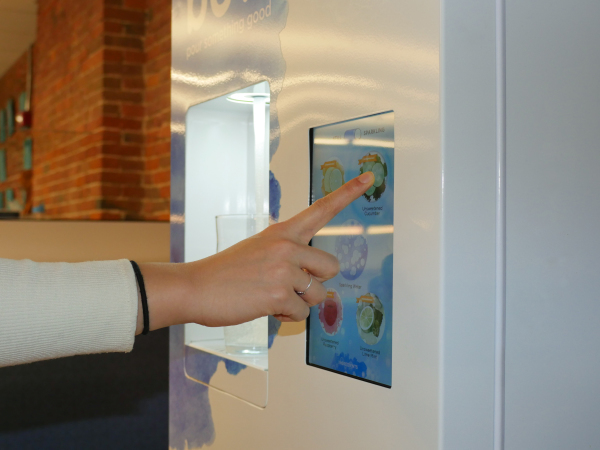 Bevi will typically install a unit in a workplace allowing customers to choose the different flavors of water. A touch screen allows users to adjust the flavor, intensity of that flavor, and still or sparkling. In keeping with their image of reducing plastic, customers provide their own cups or reusable water bottles. The vast majority of flavors are all natural and represent a far healthier alternative to typical soda vending machines. I had the opportunity to try several of Bevi's unique flavors such as cucumber blueberry and orange mango. The flavors are very light, but distinguishable, with the opportunity to add flavor intensity as desired. None of the flavors left a bitter chemical after taste, the way that many predecessor brands tend to do. Bevi is in constant contact with their customers, asking questions, and always trying to better the product experience. However, customers speak loudest with their actions, and for that reason, Bevi has advanced analytics that track customers’ real-time drinking trends such as flavor profile, concentration, and usage. I want it where can I get it? Bevi has customers in Boston, New York City, and San Francisco, with other cities coming soon. For now, Bevi is focusing on offices – ranging in size from a few people to hundreds. Market Size: Bevi’s market exists at the intersection of municipal water supply and people wanting something to drink, so very large. The founding team consists of Sean Grundy, CEO, Eliza Becton, Head of Product, and Frank Lee, Head of expansion. Sean and Frank went to MIT Sloan school of Management and bring strategic and analytical problem solving to the business. Eliza is a graduate of RISD and brings here considerable skills to designing and improving Bevi’s product. Bevi has successfully expanded from Boston to New York to San Francisco. They will continue to expand into different cities and different markets as quickly as possible. The company is focused on growth at this point and has seen great traction in every new market they have explored. Bevi would also like to develop products meant for other types of markets such as gyms, homes, or potentially health services. However, they are focusing on the current water cooler and will let customers help dictate further expansion plans into other products and markets. 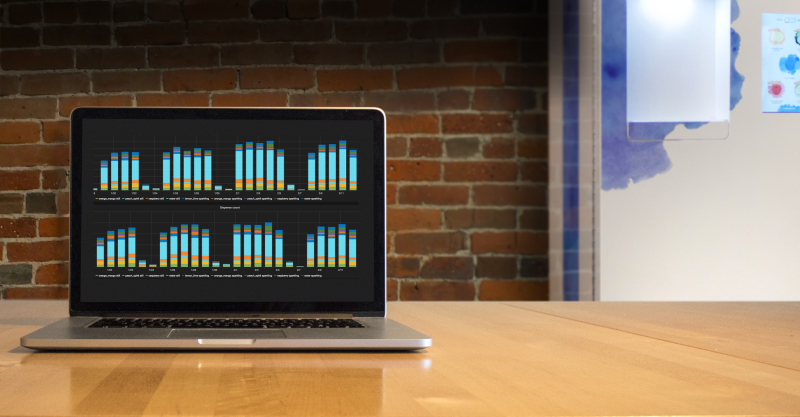 Bevi's advanced proprietary data analytics platform tracks customers' real-time drinking trends such as flavor profile, concentration, and usage.